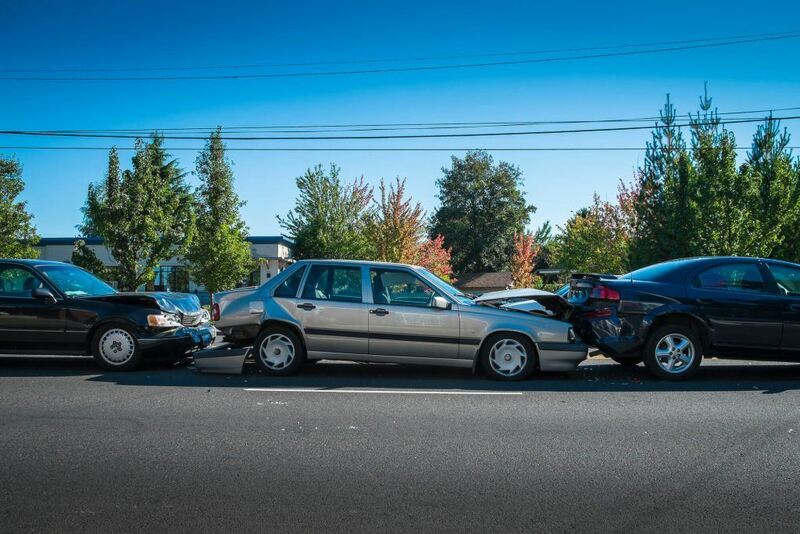 Blunt trauma to the abdomen is not uncommon in traffic accidents. This type of blunt trauma can lead to injuries to a solid organ, such as the pancreas, liver, and spleen. These injuries can cause severe internal bleeding and death. Some solid organ fractures can be treated conservatively, while others need surgery to correct the bleeding and repair or remove the traumatized organ. There can also be a ruptured viscus as part of the blunt trauma. A ruptured viscus generally involves leakage of bowel or intestinal contents into the peritoneal space. This often means bacterial contamination of the peritoneal space and secondary peritonitis. This can be fatal if not recognized and treated early enough. The gallbladder is considered a viscus, too, and can cause caustic bile to enter the peritoneum if compromised. A study was done from 1973 through 1979 on patients who sustained trauma from blunt force injury to the gallbladder. These were 31 patients who were treated at the Maryland Institute for Emergency Medical Services Symptoms. A total of 21 patients suffered from contusions to the gallbladder, while ten patients sustained from avulsions of the gallbladder. One patient actually had a perforation of the gallbladder as part of the blunt trauma. No one suspected that the gallbladder was injured before the patient went into surgery and had a laparotomy. Twenty-eight of the patients went through a diagnostic peritoneal lavage before surgery, and all were positive for blood, although not large amounts of blood were found. Among thirty of the patients, a total of 75 different intra-abdominal injuries were present. Twenty-five of the patients had liver injuries. Five of the patients died, but none died because of their gallbladder injury. Those who had a gallbladder injury and who survived underwent a therapeutic cholecystectomy as a way of treating the injury. This was true primarily for severe bruising of the gallbladder, avulsions of the gallbladder and perforation of the gallbladder. Some patients had a cholecystostomy; however, it is considered a temporary measure to be done while the patient is too ill to have a cholecystectomy. The totality of the English literature revealed a total of 101 patients with blunt trauma, usually secondary to traffic accidents. Perforation was the number-one injury found in these patients. A total of twenty patients sustained gallbladder contusions. The important thing to remember is that these patients often have other injuries, such as liver, viscus, and splenic injuries so that, in cases of abdominal pain after a traffic accident or other blunt trauma, a diagnostic peritoneal lavage should be done. Surgery should be done if the lavage is positive for blood. The bowels, stomach, intestines, liver, spleen, pancreas and gallbladder should be carefully examined during a laparotomy so that all possible areas of injury can be evaluated. If the gallbladder is involved, it is perfectly okay to have it removed as people can do well without a gallbladder. Removing the gallbladder altogether is far safer and more practical than repairing portions of it.